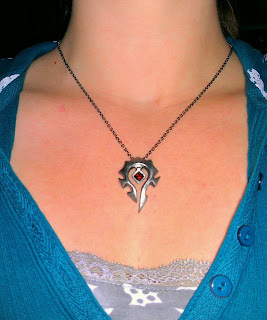 I love the Horde symbol way more than the Alliance one. This is coming from a loyal Alliance citizen, and it's completely unmistakable. I have the Alliance symbol on the back of my car, but anyone who isn't familiar with the game is going to wonder why I have a lion on my rear windshield.